"På det internationale marked har flere labels i de seneste dage oplevet, at YouTube henvender sig med et krav om at godkende nye betingelser, som gælder for deres kommende streamingtjeneste, for at bevare sit indhold på den nuværende YouTube-platform. Vi i DUP er voldsomt utilfredse med situationen på både vores medlemmer og musikforbrugernes vegne". Merlin, organisationen der normalt forhandler aftaler med digitale tjenester på vegne af det uafhængige marked er ikke blevet blevet kontaktet af YouTube ang. deres kommende streamingtjeneste. Det forlyder, at YouTube har forhandlet med de såkaldte major-selskaber (Universal, Warner & Sony) - men tilsyneladende er YouTube ikke interesseret i at gå i dialog med de uafhængige på trods af, at kun Universal repræsenterer en større markedsandel end vi uafhængige. Vilkårene som YouTube prøver at tvinge pladeselskaber til at acceptere er efter sigende betydeligt dårligere end på de øvrige etablerede tjenester såsom Spotify, Deezer, WiMP etc. I går var der travlt i de uafhængige organisationer verden over, der sammensatte en pressemeddelelse, blev sendt til YouTube inden offentliggørelse. YouTube fik 24 timer til at respondere, og har desværre valgt ikke at tilbagetrække deres krav til pladeselskaberne. Vi i DUP er voldsomt utilfredse med situationen på både vores medlemmer og musikforbrugernes vegne. Læs den officielle pressemeddelelse fra Worldwide Independent Network, samt citater fra DUP og vores nationale søsterorganisationer verden over nedenfor. According to WIN members, the contracts currently on offer to independent labels from YouTube are on highly unfavourable, and non-negotiable terms, and undervalue existing rates in the marketplace from existing music streaming partners such as Spotify, Rdio, Deezer and others. "The proper functioning of the digital market is essential and the EU takes trading practices like these seriously because they destroy competition and innovation. Rather than moving from the 'disrupter' to the 'destroyer', the real challenge for Google should be to use its muscle to develop a disruptive remuneration system which recognises that 80% of all new releases, which are so important in YouTube's offer, are generated by independents." 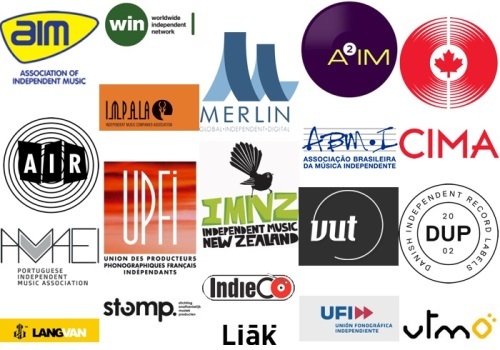 "The AMAEI, the Portuguese Independent Music Association, hereby asserts its position that any service that utilizes music that takes a differentiated approach between major label vs. independent content is not only on the wrong ethical path - a file is a file, a song is a song - but also on the wrong side of technological progress and development. It is the vibrant independent music community that drives creativity and growth, and any service that leaves out the independents will ultimately lose out on appealing to an ever-increasing audience. Independent music is the life-blood of the internet. Don't spill it." "DUP represents the Danish independent record labels and we're appalled that YouTube has issued these individual ultimatums. YouTube's self-proclaimed role as a 'a distribution platform for original content creators and advertisers large and small' is little more than hollow branding of a company that in reality is losing touch with the very creators and audience that have bloated the size of the platform into the stratosphere over the years. For a global mastodon like YouTube to further undermine the value of music to a level well below existing streaming services can spread like a virus and destroy the independent recording industry, labels and artists alike"
“The Safe Harbour provision of the DMCA dates from 1998. It's being used to deprive culture workers and creators of their right to withdraw their labour and when you can't do that - you're a slave.